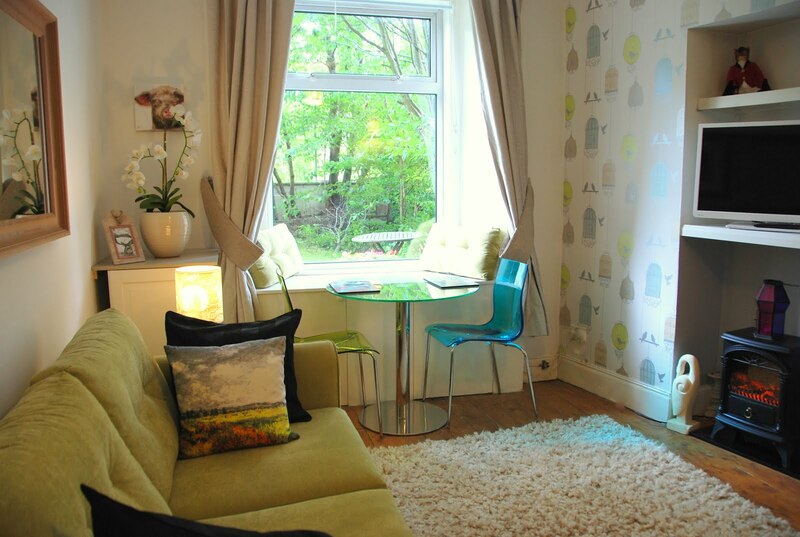 Edinburgh Vacation Holiday Rentals: Weather in Edinburgh in December? Today and for most of this week it appears we are going to have extremely mild temperatures in Edinburgh, up to 15 degrees C on Thursday, that's nearly 60F for all our Fahrenheit readers (and being that over 60% of our guests are travelling over from America there will be a lot of Fahrenheit' readers). Rather uncommon temperatures for December in Edinburgh, we will make the most of it though. I see that the east coast of the USA is getting hit hard by a snowstorm, and it always appears that the weather front travels over the sea and hits the UK about a week later, so perhaps we will have snow this time next week? We always advise to bring layers of clothing to Scotland, and this is for all seasons. As temperatures and weather patterns can change hour by hour. December is no different. It always feels a little nicer and festive walking around the German markets on Edinburghs Princes Street with a cup of warm mulled cider or wine in the snow, but you cant go wrong with this weeks temperatures. It's the rain I dont like when Christmas shopping but the forecast looks good with bright clear weather. So why not have a last minute visit to Edinburgh before Christmas? Pictures to follow once we have the trees up and decorated. The Villas dining room fireplace also get nicely decorated for Christmas as we know the dining room is well used over the Holidays. Edinburghs Christmas is worth travelling to Edinburgh for!